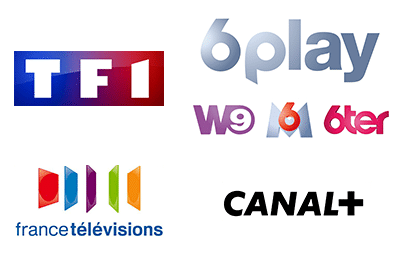 When you travel abroad you cannot view the main French channels like TF1, M6 or Pluzz. Indeed, these are reserved for the French. 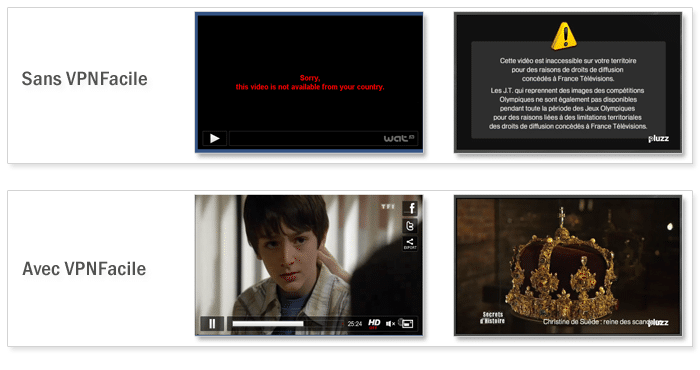 French TV channels block access to live viewing or video replay to foreigners for rights reasons. When surfing on the internet, websites can retrieve your IP address and thus geotag you. Because the IP address is linked to your location, websites can know the country in which you are located. This allows them to prevent you from watching live or accessing certain videos in replay. Thanks to our VPN service, you can change geolocation and watch French TV channels like TF1, 6play, Pluzz, etc. You can, anywhere in the world, enjoy your Netflix subscription or Canal +. You can also watch the live of TF1, the videos in replay of 6play, or those of Pluzz. Once connected to our VPN service, you will surf on the Internet with a geolocalized IP address in France. Because of this, TVreplay sites will give you access to all their videos in replay or direct to them. How? After you register on our website, you can connect to one of our VPN servers. Once connected, you will get a geolocated IP address in the country you want (France, United Kingdom, Switzerland, America (s)). 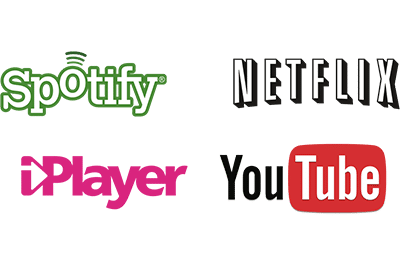 You will then be able to watch the live TV of your choice on the TVReplay sites of your choice while you are not physically located in the required country. With the VPN service, you can be geolocated in more than 29 countries. You can watch French, American or British TV channels in seconds. No need to travel anywhere in the world thanks to our VPN service. 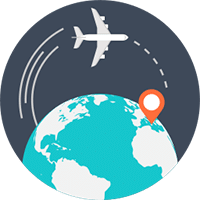 Our servers are located in more than 29 countries, you can surf the Internet by being geolocalized in the United States or the United Kingdom. You will be able to watch the videos reserved for the Americans or the British. Youtube blocks some of its videos, for rights reasons, to people who are not, for example, located in the United States. With our VPN service, you can watch all Youtube videos, even those reserved for Americans and British.